Camping is one of the best ways to get out and about in the great outdoors. With such a wonderful and varied choice of destinations, and a great deal of beauty to behold, there is nothing like getting free from the shackles of city life, and taking time to yourself out in the open. Or, you may be one who goes camping with the family, and that’s a great idea too. Education, fun and healthy, walking and then setting up camp for the night is always an adventure for your younger members of the family! One of the biggest parts of the adventure is the night, when you can look up at the stars unhindered and see more than you ever thought existed. But, and it is a problem, then comes the part where you need to sleep! Sleeping in a tent can be troublesome for many, and that’s why you need to buy the very best sleeping bag you can afford. Quite simply, this will become the most important item in your kit. 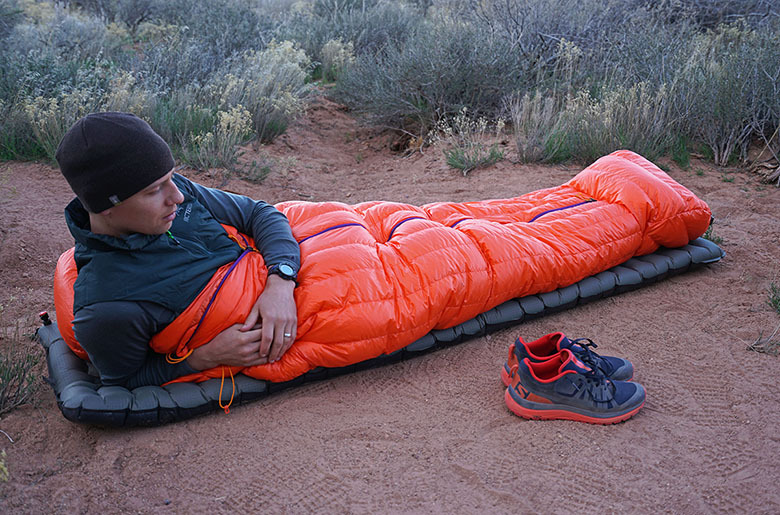 The sleeping bag you choose depends upon how you tend to sleep. Each of us has a preferred position, and the problem with sleeping outdoors becomes exaggerated for anyone who sleeps on their side. This can cause excess pressure on the sleeping bag and pad, so we recommend you check out this review of sleeping bags that are a good choice for side sleepers is this applies to you. If you are walking and camping in winter you will also want to ensure that you have the right sleeping bags for cold weather as some are designed for just milder nights. Look for those that are suitable for 3 or 4 seasons – this is a rating system that is standard for such items – and take your pick, as there will be some that are much better than others. If you get the right sleeping bag you will find that you can enjoy a comfortable night’s sleep even on the coldest nights, and wake refreshed and ready in the morning for the next stage of your adventure. One other factor you need to look for is the size of the sleeping bag when it is packed away – and also when it is in use as you want one that is big enough for you – and how much it weighs. You will be carrying it with you for long distances, and you need to be sure it does not add too much to your pack. A good sleeping bag will last a long time and will be suitable for use throughout the year, so you should have no trouble using it whatever season it may be. Check out the reviews we have recommended to you and you’ll find there is plenty of choice in quality bags at great prices that will help you and your family enjoy your outdoor adventures to the full, however you sleep and whatever the weather.